The Preliminary SAT (PSAT) is a standardized test designed to give students practice for the SAT, as well as to connect them with potential scholarship opportunities. For both of these reasons, proper test prep for the PSAT is crucial. Come to Grade Potential for expert, one-on-one PSAT tutoring that helps students maximize their potential! The fact is, a student’s score on the PSAT can have a big impact on his or her future opportunities and education. That’s why Grade Potential’s one-on-one tutoring is so important. Through customized, consistent support, we’re able to help students head into the PSAT with confidence, able to perform when it counts. 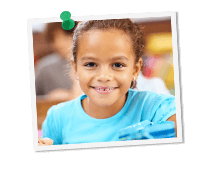 Our tutors at Grade Potential are experts in the field of standardized testing. They not only understand what to expect in terms of actual questions, but they also know how to promote critical test-taking strategies. So with the help of our tutors, students gain the tools they need to succeed.